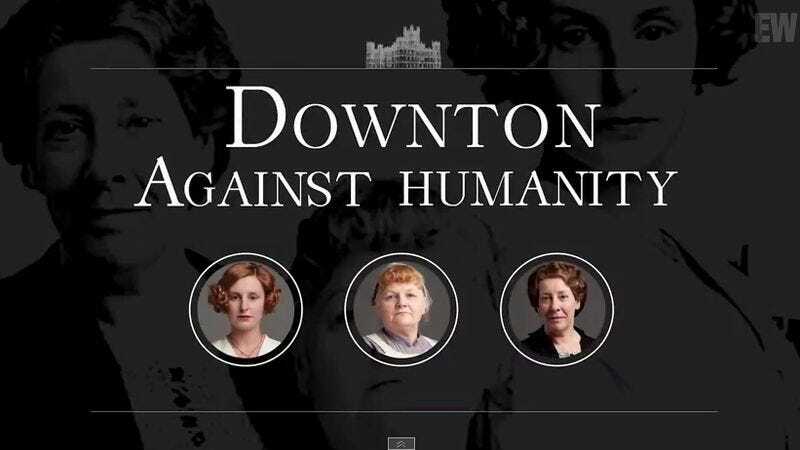 The inane and ridiculous party game Cards Against Humanity has sparked many an embarrassed giggle, but the most endearing ones so far (we’re assuming) just came from Downton Abbey’s Mrs. Matmore, Lady Edith, and Mrs. Hughes. Actresses Laura Carmichael, Lesley Nicol, and Phyllis Logan sat down for a quick round of the game with Entertainment Weekly, and though they don’t really appear to get it at first, they pick it up quickly, getting far raunchier than you’d expect from the screen-stoic Abbey dwellers. The trio also giggles constantly, which is adorable. The clip, below, is highly recommended viewing—especially for those who have always found the BBC series a little stuffy.